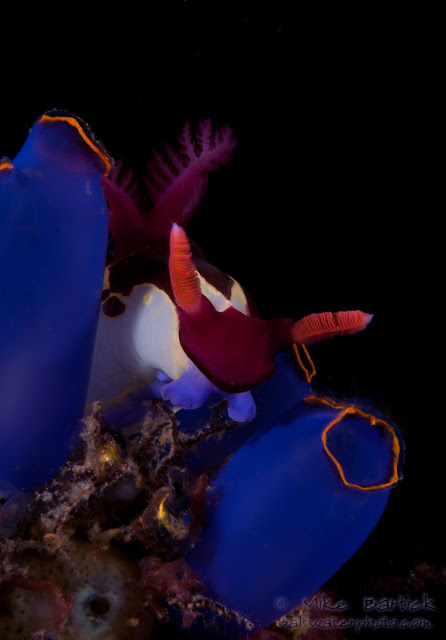 This year was chock full of incredible diving, awesome friends and of course Nudis!!! Wooo-Hoo! 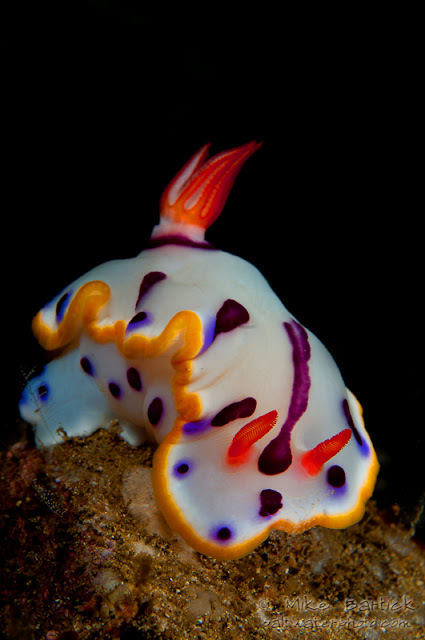 I love Nudis and can honestly attribute my full blown critter obsession directly to nudibranchs. 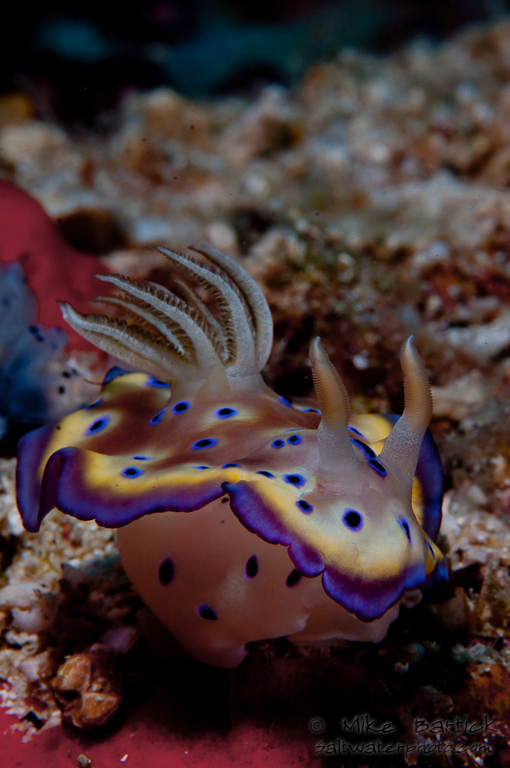 Nembrotha chamberlaini is one of the most common Nudibranchs in the Anilao area. 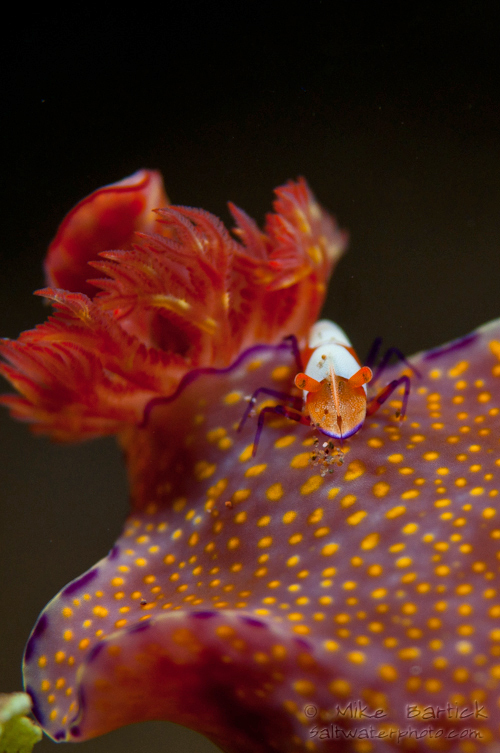 They love to feed on tunicates of different varieties. When i saw this one perched just right it was more then what i could resist. 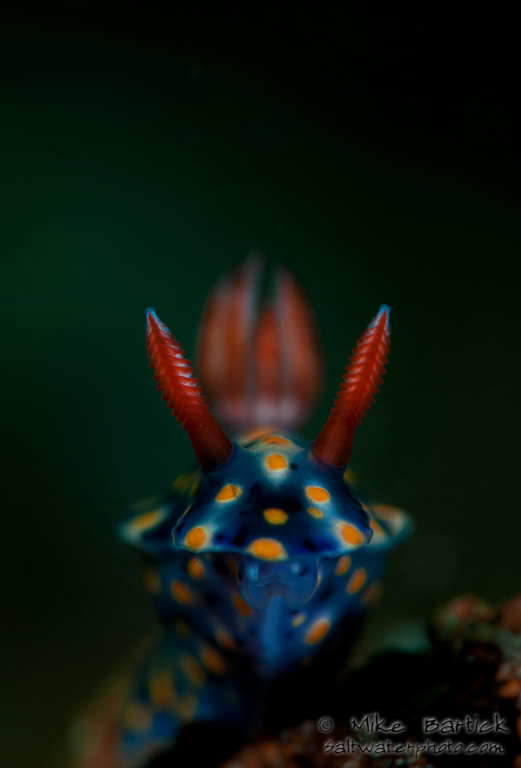 Its easy to achieve a black background when there is nothing directly behind the critter. Increased F-stop and lowered strobe power helped to pull the rest together. This species of Chromodoris behaves in a rather unique fashion by flapping its mantle as it moves along the substrate. The "sp" after the family name generally means one of a two things. 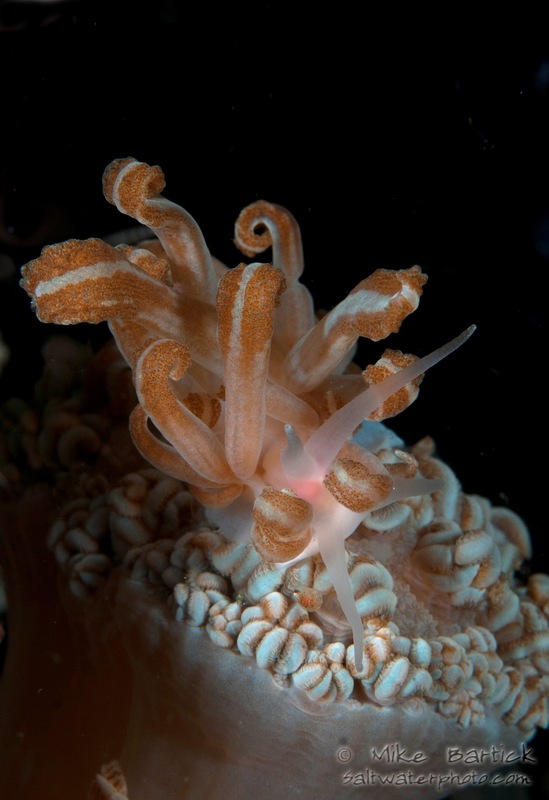 The particular animal has never been found before or has not been described by science. So when finds like these occur its naturally very thrilling for a critterhead like myself. This shot was all about the symmetry of the natural lines and patterns. As the nudi raised its head i watched the gills become centered between the rhinophores. I was only able to shoot a single frame and have not been able to get it perfect yet. Another gem found this year is this amazing Hypseledoris. Feeding on sponge and bryazoan, this guy never looked up from its food source. No matter how bright my strobe flash was.. 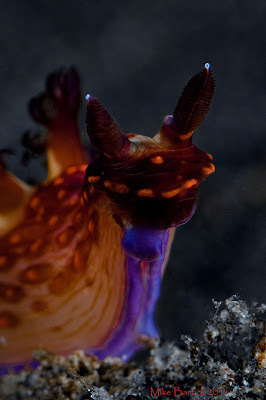 This Nembrotha is a hearty Nudi indeed but uncommon. 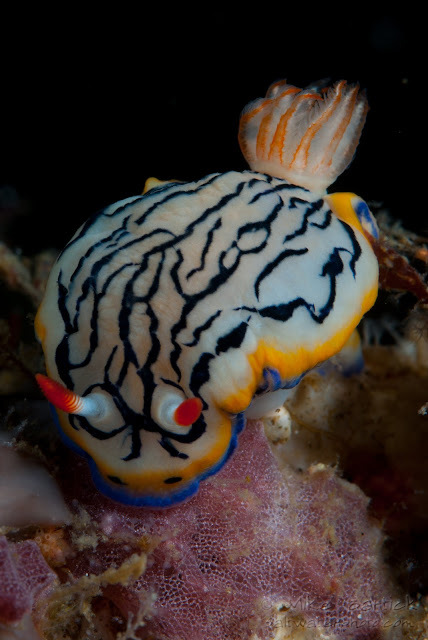 The spots along the sides and its creamy body color make this Nudi very pretty. found in the southern island region of Mindanao Philippines. As the story go's he was shooting a photo of something else when he discovered that the coral by his elbow was crawling. Then later another was found in Anilao, collected and described. 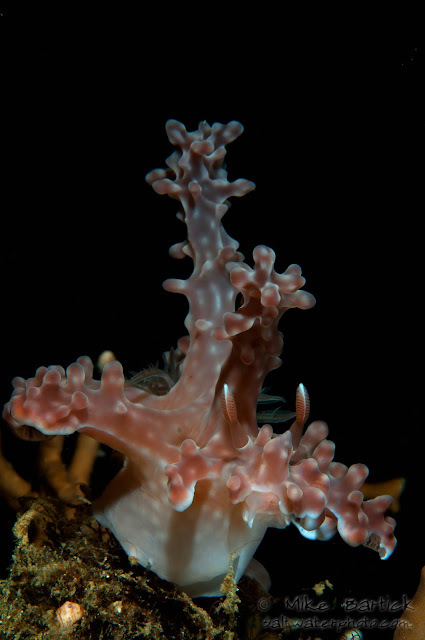 These Ceratasoma's can now be found all over most or the Indo-Pacific.